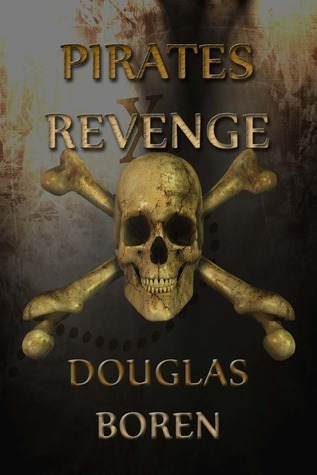 Pirates are such brutal and inconsiderate people and this is true in Pirates Revenge by Douglas Boren. Rafe Alexander leaves England to become part of a pirate crew aboard the Cutlass. After joining the crew, Rafe learns his mother was treated horribly and this does not sit well with him. Rafe’s mind is reeling and thought and visuals of revenge is all he can see. Rafe realizes he will help to carry out his plans so he joins forces with the Black Widow. After joining the Black Widow’s fleet, Rafe comes to terms knowing that to get his revenge will take a lot out of him. Black Widow has a score to settle with Ramirez the captain of Cutlass. Black Widow plays it smart by joining forces with Rafe seeming they both want vengeance against the same person. In the course of planning and all of the action Rafe and Black Widow become fond of each other. A passion starts, flames are ignited and soon everyone should beware because their deadly combination is much to fear. I have not been a fan of pirate theme storylines but Pirates Revenge, took me by surprise. This book was an action packed thriller and full of adventure. The author does a wonderful job of capturing the era and keeping the reader interested. This was a relatable book that encourages the reader to visualize that action as it is happening. I recommend Pirates Revenge to others.